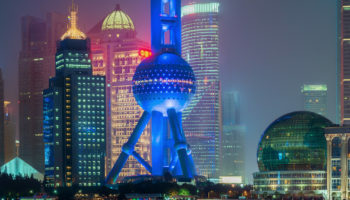 China and the United States take up about the same amount of land, but China is home to nearly a billion more people. Navigating this massive country can be an intimidating challenge. But it becomes much more manageable if you break the nation up into smaller pieces. In the south, you’ll find modern cities, towering karst mountains, matrilineal societies, beautifully preserved ancient villages, death-defying gorges and stunning lakes. 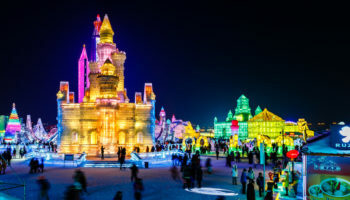 Plan your swing of South China right, and you’ll be able to see the very best that the country has to offer. This idyllic lake sits nearly 2,700 meters (9,000 feet) above sea level. To get here, you’ll have to ascend an ancient switchback road, and the first site of the lake will leave you breathless. Forested hills slope out of pristine waters while small towns dot the shores. And Lugu Lake is home to one of the last matrilineal societies on earth. Luoshui is home to the Mosuo people where children take their mother’s last names, and daughters are preferred over sons. This unique culture draws crowds of tourists, but the trek up to Lugu Lake is worth it. It’s almost 1,000 meters (3,000 feet) from the top of the Hābā Shān Mountains to the rushing waters of the Jīnshā River. And it begs the question — did the river carve this death-defying gorge, or did the mountains rise around it? Either way, this 16 km (10-mile) long river gorge is beautiful every step of the way, but you’ll have to earn it. The high trail trek will have you stepping carefully over loose stones on the edge of the mountains as you pass locals leading donkeys. 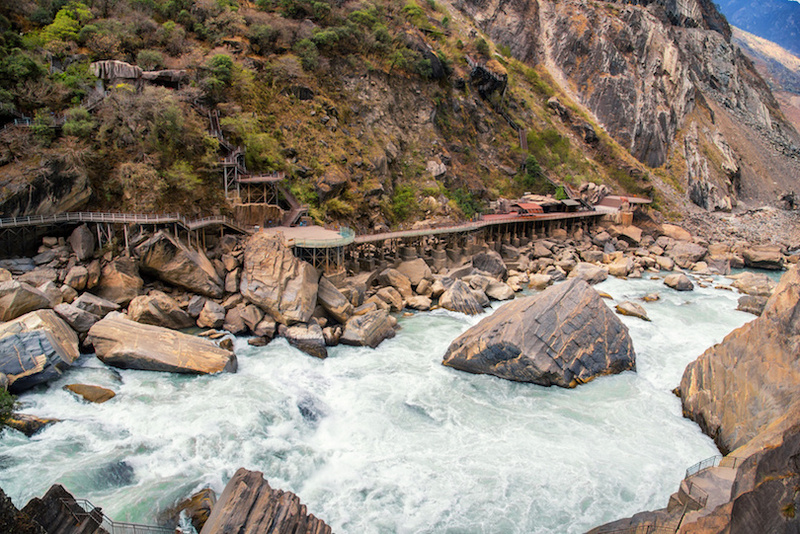 Of course, you can always tour the Tiger Leaping Gorge from the low trail on a tour bus if you’re not feeling so adventurous. Put on your best clothes to head on out for some glitz in Macau. Often referred to as the Vegas of China, this gambling town has all the glamour of Sin City but with more history. Macau was a Portuguese colony for more than 300 years, and you can see the evidence on the ground. Ancient Chinese temples rise out of streets covered in traditional Portuguese tiles to create a stunning mosaic of blended cultures. And you’ll find this juxtaposition everywhere. Colonial buildings sit right next to flashy casinos and new boutiques. You can choose to dine on traditional Chinese fare, Portuguese food or a fusion of the two known as Macanese. Lijiang Old Town is one of China’s four best-preserved ancient cities. Cobblestone streets lead you over stone bridges as babbling canals drive waterwheels. After taking some time to admire the giant goldfish in the canals below, you’ll notice the ancient streets are now lined with shops, family-owned hotels, restaurants and bars. But the city has lost none of its old world charm. Four main streets lead out of Sifang Square at the center of town, and they connect a network of laneways with over 350 bridges. 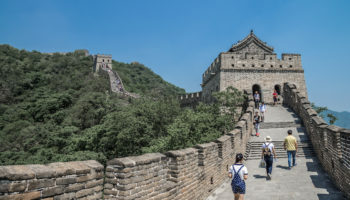 Hop over the rain bridge, stone arch bridge, slab bridge and plank bridge to get to sites like Mu’s Residence, the Wangu Tower and the Black Dragon Pool that perfectly reflects the snowcapped mountains in the distance. Not too long ago, Dali was a backpacker hangout. It was sort of a rite of passage for backpackers in western China to spend a couple of weeks hanging out on Ěrhǎi Lake. But now dreadlocked westerners have been replaced with the rapidly growing middle class travelers of China herself. While domestic tourism has boomed in Dali over the years, the local Bai population still makes daily life in Dali extremely interesting. And there is plenty to discover in the mountains above Dali’s Ěrhǎi Lake. Or you can simply choose to join the Chinese tourists with Bai flowers in their hair by eating, drinking and partying. A centuries-old medieval moat awaits you in the city of Guilin. Local boats still travel the moat and other waterways connecting the city’s two lakes — Shanhu and Ronghu. The sun and moon temples light up at night on the shores of Lake Shanhu to help light up the dramatic limestone karst mountains that crown the landscape. This beautiful but aging city serves as the gateway to Guǎngxī. It’s full of modern amenities, and plenty of the locals speak English. 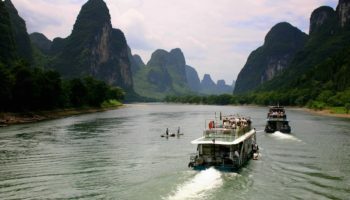 Guilin is a beautiful rest stop where you can plan your Li River cruise and journey deep into scenic Guǎngxī. 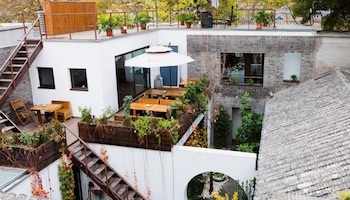 Kunming is a laid-back city on the Dianchi Pool. Often referred to as one of China’s most liveable cities, tourists will find Kunming incredibly relaxing. 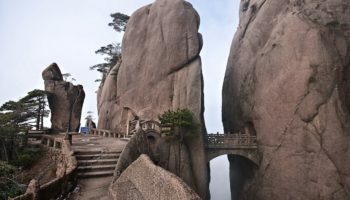 And this enjoyable city is near some beautiful temples and National Parks like the Stone Forest where limestone karsts provide a stunning landscape. The city’s Buddhist Bamboo Temple is full of beautiful statues while the Tàihuá Temple towers above the Dianchi Pool. But, like many Chinese cities, old neighborhoods are being torn down for modern stores, and traffic is becoming a new problem. 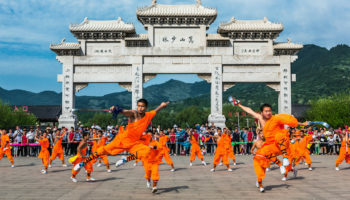 Yet Kunming still retains its friendly, laid-back vibe. There is something absolutely spiritual about staring at rice terraces. The lines carved into the earth are smooth and mathematical yet feminine. And all this earth carving artwork produces China’s carbohydrate staple — rice. Something primal, deep down inside, makes you feel good and at peace with the landscape that you’re marveling at. 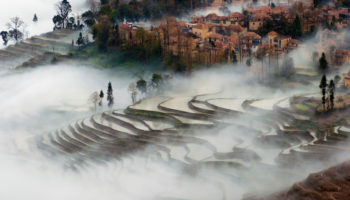 The pools on Longji Terraces softly reflect the sun while the ears of the rice plant glow yellow during harvest time. 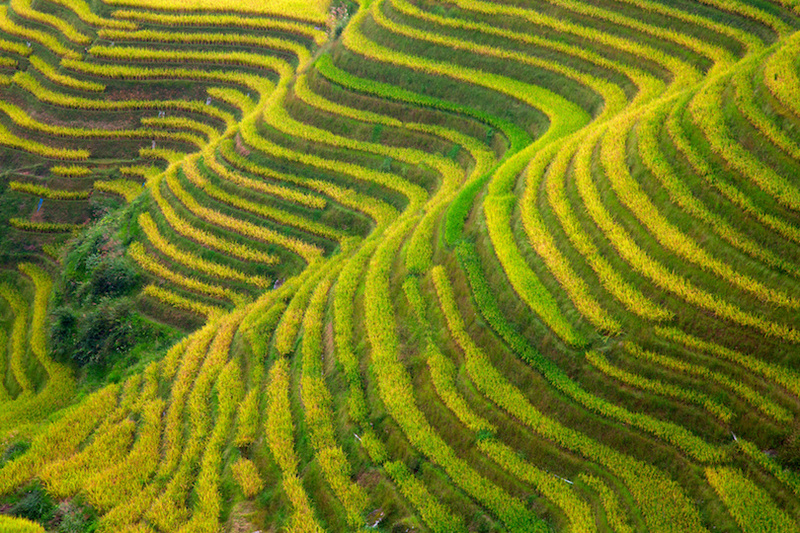 The rice terraces are like a giant ampitheater taking up land farther than the eye can see. 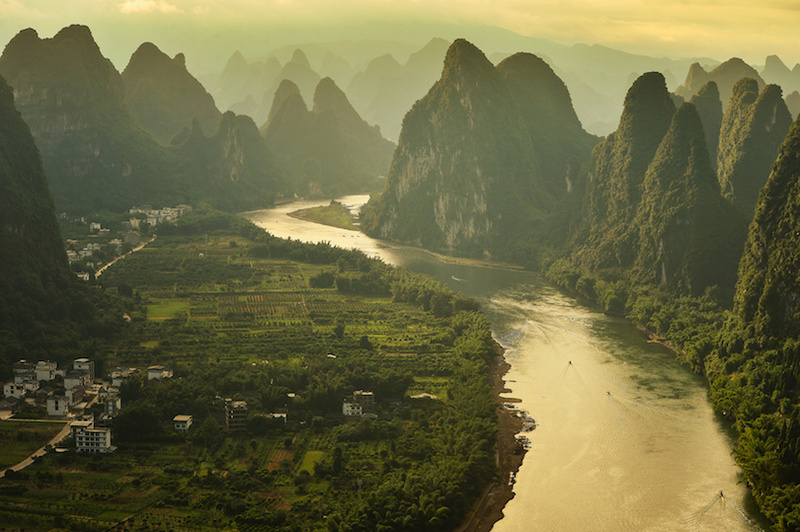 Step into another world in Yangshuo County. This beautiful stretch of land is an ethereal landscape of unbelievable karst mountains. 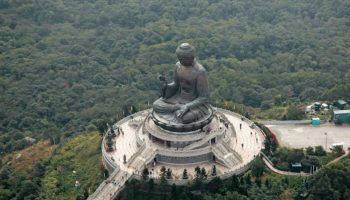 You’ll be floored by the dramatic Green Lotus Peak and even more impressed that there’s a hiking trail to the top. The main tourist town of Xijie has grown quite a bit in recent years. 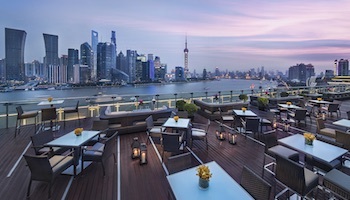 You’ll hear plenty of loud club music as the sun sets, and you’ll have to battle your way through a maze of selfie sticks to get about town, but you can still escape to quiet rooftop bars to take in the serenity of the surroundings. As the day breaks, you can take dreamy bamboo raft rides or cycle through magical valleys out of Yángshuò town as the landscape grows more surreal. 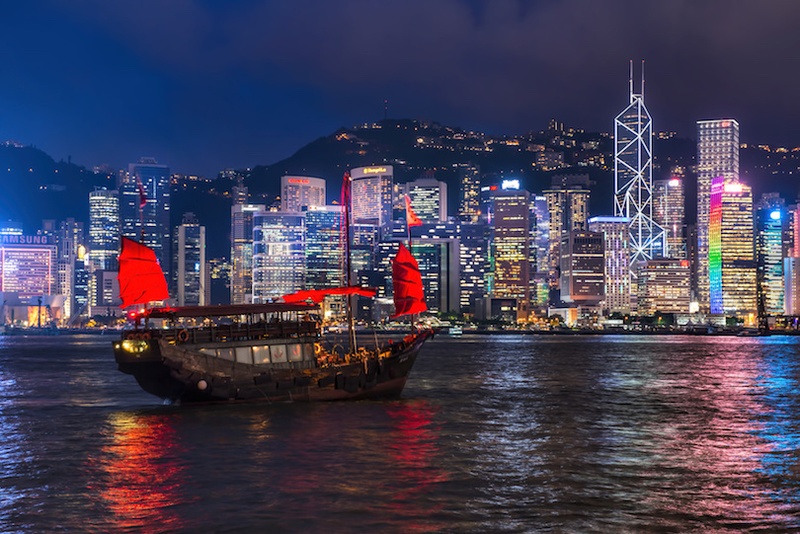 Hong Kong is 70% mountains and country parks, and its neighborhoods are scattered amongst islands. 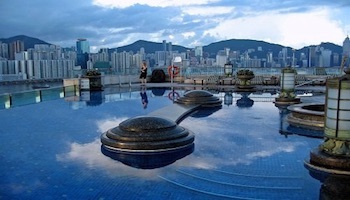 This modern city has every comfortable amenity in the books and is a very easy, yet expensive, travel destination. The public transportation systems are incredibly smooth, and they will take you to adventures like hiking lonely islands or kayaking under volcanic sea arches. 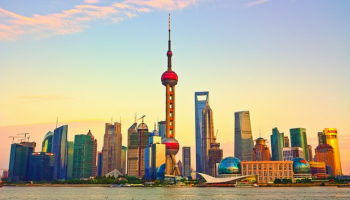 And this city is one of the world’s culinary capitals where Cantonese, Sichuanese, Japanese and French cuisines collide. There’s plenty of high-end shopping at glitzy boutiques, and the nightlife keeps bumping until the morning hours. And, to cap it all off, Hong Kong is an incredibly safe city for tourists.